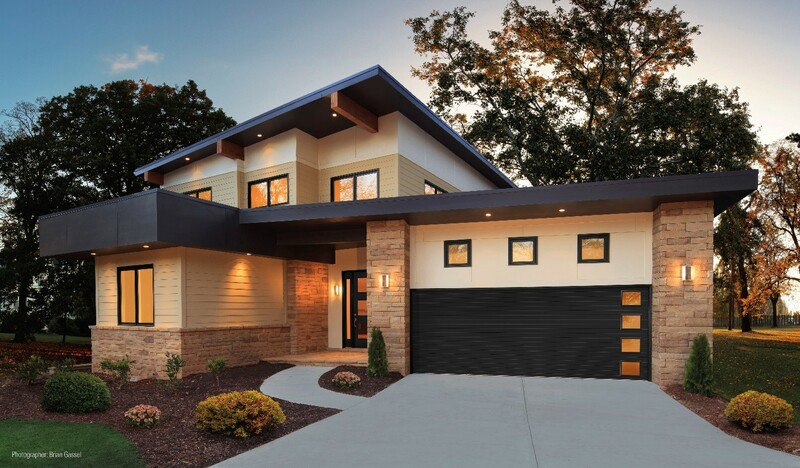 If you have a modern and minimalist home design, you need a garage door that goes with the tone of your home. 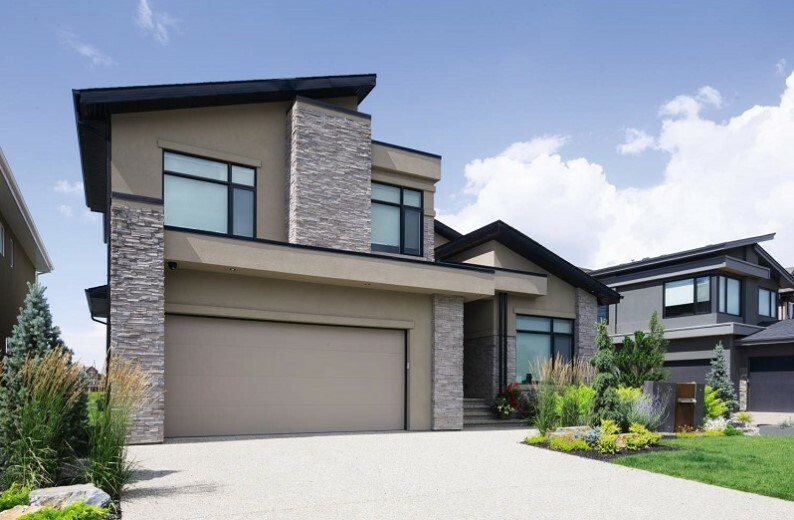 Here are some designs for modern homes with beautiful garage doors. All these styles are well-planned and add charm to the overall appeal of the place. Modern homes generally have large windows and clear lines. They have horizontal design elements and a minimalist look. When you select a garage door, make sure it complements the design of your exteriors. 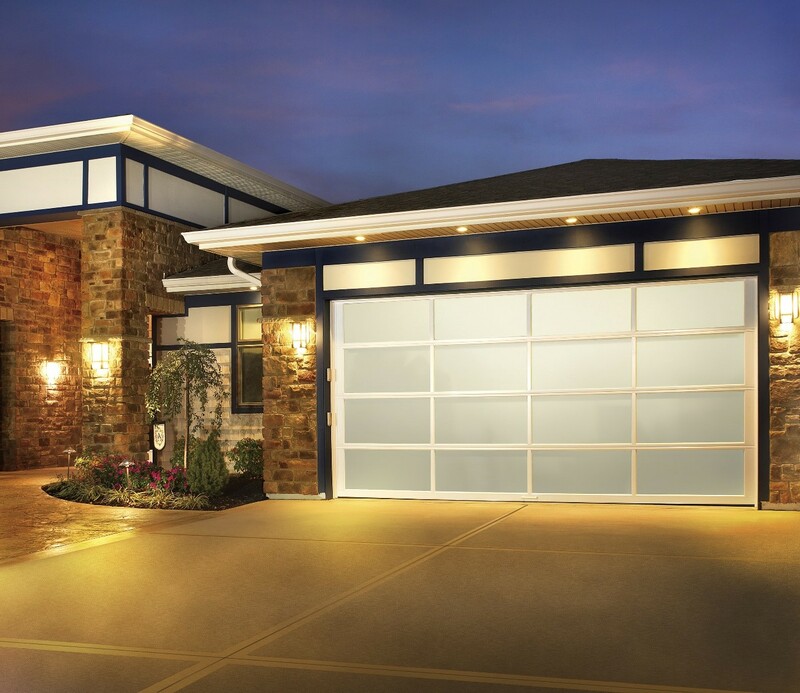 Take a look at our model Avante – it’s a full-view garage door made of aluminum. Ideal for modern homes, these aluminum frames offer a clean look that adds a raw, industrial look. As you can see in the image above, our model Avante offers a very contemporary look. The door is made of anodized clear aluminum frames. The glass used in this door is 1/4" white laminate for privacy reasons. As you can see, this home comes with several black accents. The door and window frames have solid colors. This is our aluminum model Avante that is customized to complement the overall tone of the house. We have used a powder coated finish on the aluminum frames along with the white laminated glass. Why limit yourself to just aluminum frames when we have so much to offer? Many homeowners prefer aluminum frames with glass panels but as you can see here, this garage door is made of steel. The image shown above has used wooden accents to blend perfectly with the industrial and natural elements. 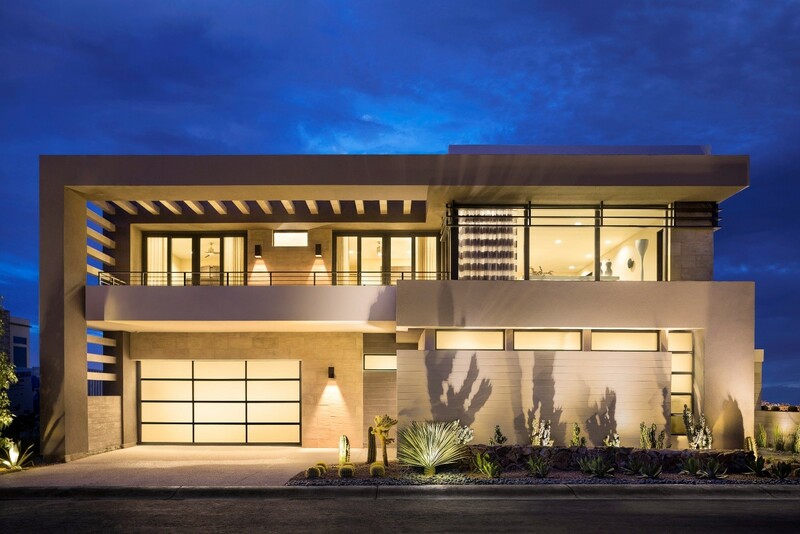 This modern home had natural wood accents and so we customized our garage doors to match the tone of the entire house. A woodtone garage door that gives the impression of wood is just what this home needed. The image above shows another modern and minimalist garage door option. It’s one of our most popular designs. 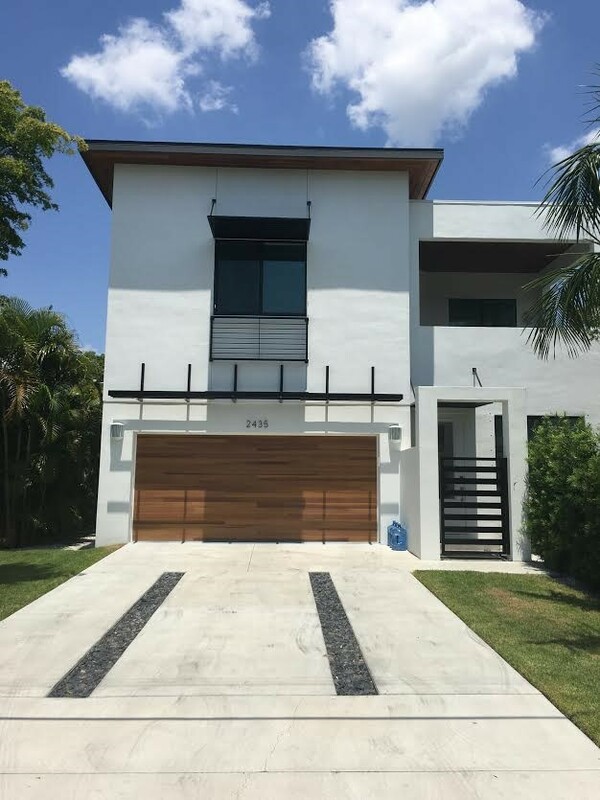 This is our model modern steel, As you can see in the image above, it gives a very contemporary look to the house and complements the horizontal lines that are a part of the home design. Check out the vertical windows on this garage door. It’s the latest design and gives a unique look to any types of exteriors. Also, it adds charm to the curb appeal, not to mention the increase in home value. No matter what kind of garage door you want, you can add windows to it to make it stand out.